The semantic layer – an enhanced version of HTTP/1.1 enriched with server-push capabilities. The researchers took an in-depth look at HTTP/2 server implementations from Apache, Microsoft, NGINX, Jetty, and nghttp2 and discovered exploitable flaws in all major HTTP/2 implementations, including two that are similar to well-known and widely exploited bugs in HTTP/1.x. This attack is identical to the well-known Slowloris DDoS (distributed denial-of-service) attack that major credit card processors experienced in 2010. The Slow Read attack calls on a malicious client to read responses very slowly. The Slow Read attacks were well-studied in the HTTP/1.x ecosystem and they are still alive in the application layer of HTTP/2 implementations. "The Imperva Defence Centre identified variants of this vulnerability across most popular web servers, including Apache, IIS, Jetty, NGINX and nghttp2," says Imperva. HPACK Bomb is a compression layer attack that resembles a zip bomb attack or a ‘decompression bomb’. HPACK is used to reduce the size of packet headers. Basically, the sender can tell the receiver the maximum size of the header compression table used to decode the headers. In this attack, a potential hacker creates small and innocent-looking messages that actually unpack into gigabytes of data on the server, thereby consuming all the server memory resources and effectively slowing down or crashing targeted systems. Imperva created a header that was 4KB size — the same size as the entire compression table. Then on the same connection, it opened up new streams with each stream that referred to the initial header as many times as possible (up to 16K of header references). After sending 14 such streams, the connection consumed 896MB of server memory after decompression, which crashed the server, Imperva researchers explain. This attack leverages the flow control mechanisms that HTTP/2 uses for network optimization. A bad intent client can use specially crafted requests to prompt a dependency cycle, thus forcing the server into an infinite loop. The flaw could allow an attacker to cause Denial of Service (DoS) or even run arbitrary code on a vulnerable system. The attack allows an attacker to exploit vulnerabilities in the way servers implement the stream multiplexing functionality in order to crash the server. This attack eventually results in a denial of service (DoS) to legitimate users. All the four vulnerabilities have already been fixed in HTTP/2, which is currently being used by some 85 Million websites, or around 9 percent of all websites, on the Internet, according to W3Techs. "The general web performance improvements and specific enhancements for mobile applications introduced in HTTP/2 are a potential boon for internet users. However, releasing a large amount of new code into the wild in a short time creates an excellent opportunity for attackers." 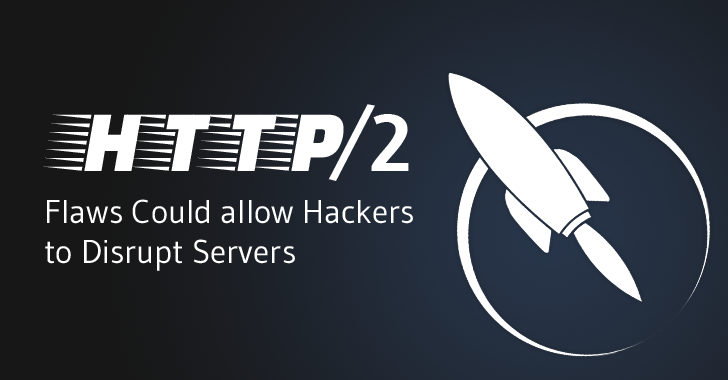 "While it is disturbing to see known HTTP 1.x threats introduced in HTTP/2, it’s hardly surprising. As with all new technology, it is important for businesses to perform due diligence and implement safeguards to harden the extended attack surface and protect critical business and consumer data from ever-evolving cyber threats." The vulnerabilities took advantage of HTTP/2 features that were meant to reduce bandwidth use and round trips while speeding up the loading time of websites. According to Imperva researchers, by implementing a web application firewall (WAF) with virtual patching capabilities can help enterprises to prevent their critical data and applications from cyber attack while introducing HTTP/2. You can get more details of Imperva’s research in a report [PDF] dubbed "HTTP/2: In-depth analysis of the top four flaws of the next generation web protocol."